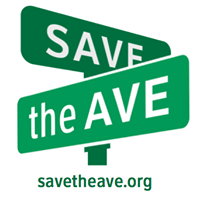 Help to protect endangered small businesses and nonprofits in the U-District from displacement by the up zone at the first Save the Ave Fundraising Party for University District Small Businesses. Join them for a raffle, good times, great beer, and for a good cause. At the Big Time Brewery on Friday March 31, 6PM – 11PM (all ages until 10PM). This entry was posted in Land Use, University Relations, WallHALA on March 31, 2017 by Frank Fay.